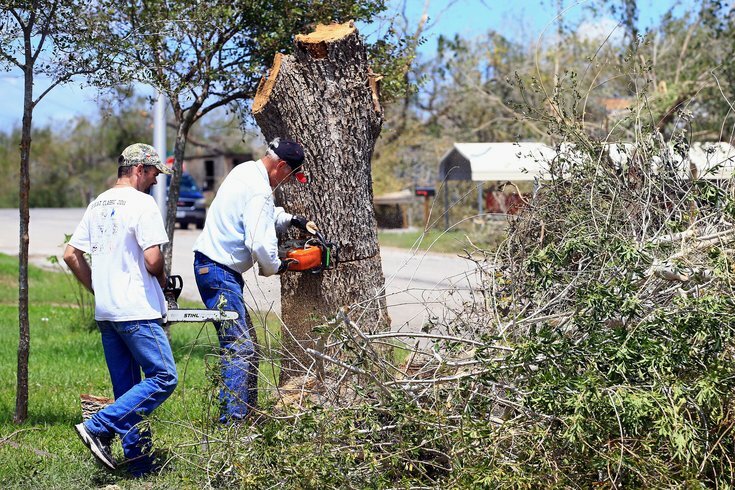 Jack Autry, left, and Jimmy Arnold remove tree limbs from a neighbor's home following the landfall of Hurricane Harvey in Texas. While neighbors help one another in time of need, sometimes it's the little things that makes the people next door happy. In the cold and dark of winter, we asked you to share your tales of the bad neighbors you’ve had over the course of your lives. Now that spring has sprung – minus that whole winter storm going on today, of course – the time is upon us to embrace the positivity that eventually comes with flowers blooming, temperatures warming and people getting back outside to enjoy the beauty of nature (or at least the view from the stoop). As promised from the outset of this inquiry into the human condition, PhillyVoice is now asking you to share your stories about experiences with great neighbors for the sake of celebrating the goodness of the world, and the binds that tie us together through proximity. I’ve been fortunate to have had wonderful neighbors in South Jersey, Delaware, South Carolina, the Jersey Shore, East Falls, Fairmount and, now, the Philly suburbs. Those experiences left me convinced that there are far more good neighbors than bad ones out there, that love has a home everywhere. So I’m pretty excited to highlight your tales of goodness, folks. Below, you'll find a questionnaire through which you can share your Great Neighbor Tales with us. From there, we'll compile our favorites and share them far and wide. Don't worry, it can be anonymous, though you might not want to adhere to that as much as y’all did while diming out your bad neighbors.